Craig Ing, the owner of Ing Martial Arts & Advanced Training, is a life-long martial artist. Having studied and holding ranks in multiple martial arts styles he possesses more than 25 years of teaching experience. With degrees in teaching and kinesiology, Craig is an author, a lecturer and an accomplished therapist specializing in orthopedics and sports medicine. Further, holding multiple credentials and certifications, Craig has trained and coached people of all ages and ability levels. 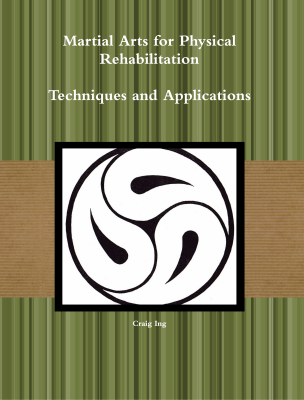 This book outlines the concept of utilizing traditional martial arts for modern rehabilitation through modification and adaptation of techniques. Containing detailed instructions and photographs of exercises as well as strategies for adaptation, modification and application, this text is essential for patients and clinicians alike. This text has been pre-approved by the American Kinesiotherapy Association and COPS-KT for .4 CEU's (upon completion of exam). At its foundation, the true study of the martial arts is a quest for knowlede. This knowledge transends merely learning to kick or punch: it is about gaining an understanding. Evolution follows one such quest. Spanning more than thirty years, it shares the stories of one martial artst's journey, the lessons he learned and the understanding he gained about the martial arts and himself.